In the US and the UK (where I have also lived) a substantial sector of the economy is driven by DIY culture. For better or for worse, those hulking big box home improvement retailers (like Home Depot in the US or B&Q in the UK) are cathedrals to the ‘can-do’ spirit. DIY is more than a hobby; it’s a way of life for many Americans. Entire television networks, magazines and other outlets are dedicated to bettering one’s modest lot. But in Japan the subject goes largely ignored. So, what’s stopping Japan – a nation of highly practical and industrious people? Since ancient times, Japan has venerated the highly-skilled carpenters who erected homes using complex joinery (rather than screws or nails). Contrast this with the American frontier experience where homes could be mail ordered from catalogs and self-built from pre-cut kits. The wealth (and speculation) of the American West was built upon sweat equity because professional building expertise was in short supply. Although the two construction cultures industrialized and have become more similar over time, a high vs. low skill distinction permeates to this day. The American Dream – for what it’s now worth – is predicated upon ascendency up the property ladder. For many young families, DIY home improvements mean a leg up on those critical first rungs. Improvements can be made as income can be spared (rather than all up front). Psychologically, the task of building one’s own home forms an amazing bond – a stronger sense of home and one’s personal stake in it. I know from personal experience that the process is never easy, but the sense of accomplishment makes it more than worthwhile. 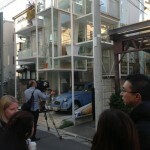 To most Japanese, however, the notion of buying a ‘fixer-upper’ is about as alien as living in a double-wide trailer. Only 13% of homes bought in Japan are pre-owned, compared with 78% in the U.S. In truth, Japan’s number of pre-owned homes may be even less. It is not uncommon to buy an existing home only to tear it down straight away and build anew. It’s easy to see why the Japanese feel unmotivated to improve their homes. The value of those improvements can’t be recouped. The post-war scrap-and-build housing economy is largely responsible. It’s a mindset that has been perpetuated by corporate home builders who “have been scrapping old houses and building new ones in the past because it’s most lucrative…” Since the Japanese have become fixated on living in brand new homes, houses have no market value after 25 to 30 years. They become waste after 40. Without a healthy resale market, homeowners are disadvantaged, lacking mobility (both financial and geographic). There are many arguments for re-using and improving existing homes. Refurbishing structurally sound buildings is undoubtedly more sustainable than demolition. Moreover, adding insulation, replacing windows, caulking, etc will make homes more energy efficient. Retrofitting homes with solar panels and other energy generating features frees homeowners from their dependency on energy companies. Housing should offer the flexibility to accommodate a changing family’s needs. Lofts can be converted, basements requisitioned, and kitchens extended. The quality of space can also be remarkably improved. This may be as simple as cosmetic enhancements (like redecorating the living room) or adding amenities (like erecting a sunroom). Despite living in the same property for most of their lives, I rarely see Japanese families carry out such modifications. Japan’s dense cities are maxed-out, making reform of existing buildings a more viable choice for urbanites. Money that would be spent on building a new home on cheaper land in the suburbs can go a lot further if it is used to improve an existing property in a more desirable location. New suburban developments lack the character, variation, and the vigorous spirit of communities that have grown over time. Valuing existing homes will serve to improve the local character and preserve a sense of place. 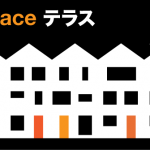 The growing number and size of Home Centers throughout Japan is a promising sign of change. Also, there is the very popular “Before & After” television program featuring home improvements (usually by architects). 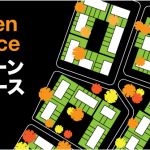 Japan may finally be coming around to the idea of improving its existing homes. With the world’s oldest population (median age is 44) it may have no other choice. As housing starts have reached a 46-year low, Prime Minister Hatoyama is banking on renovation. His Democratic Party of Japan aims to boost sales of existing homes and extend their lifespan from an average of 30 years, compared with 55 in the U.S. The government has already committed 100 billion yen (1 billion dollars) in incentives for energy efficient improvements to housing. Likewise, Japan’s major construction companies are turning their attention to the refurbishment market. It is a growing sector they would like to dominate. But it would be a shame if renovation falls completely into the hands of the very companies that have perpetuated a disposable housing for many years. Promoting DIY offers alternatives. Homeowners (rather than marketers) are empowered to make decisions that will impact their lives for years to come. These solutions may be an evolving process of modifying and adding to a house as lifestyle needs change and income allows. Advocating for DIY may sound strange for an architect. 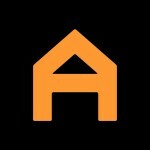 After all, my job is to design buildings on behalf of our clients. 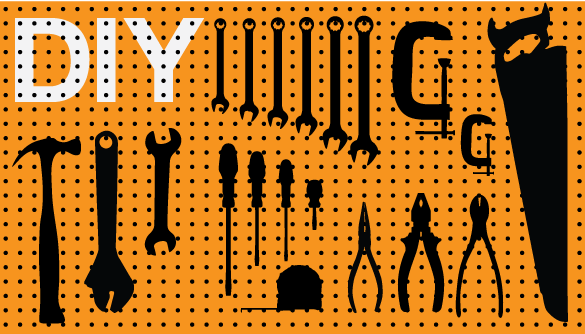 Firstly, I believe that DIY is a personally enriching enterprise and has much to teach architects about their craft. Often our job is to improve existing buildings, not to build new ones. As we take our instructions from the individuals we work with, we help them to craft a unique response to their personal needs, environment, and dreams. We rely on people that realize these benefits and who, rather than resort to a mass-marketed solution, seek to do something about it themselves. In this way, I see architecture as an extreme form of DIY. In a more literal sense, the work of architect Walter Segal perfectly demonstrates that DIY and architecture are far from dichotomous. The author’s own experience with DIY in Japan. A Small Lab – Chris Berthelsen has been investigating alterations of space/objects at the public/private boundary in suburban Tokyo. His snapshots show that DIY spirit is alive and well, with people trying their best to make do with imperfect (and often deteriorating) situations. Japan’s once had a thriving timber economy. As documented so vividly in Asby Brown’s recent book, Just Enough, Edo Japan’s class society was highly differentiated into specialist trades. The venerated carpenter class built homes by expertly intricate timber joints (without nails or screws), partly so that they could withstand earthquakes. Timber was a tightly controlled resource and therefore had to be used with skillful efficiency. Many are in fact owned by large construction companies. DIY also means taking control of one’s life in one’s own hands. As a practical movement, it can have immense political, social, and economic ramifications. This spirit was best embodied by Ghandi, who showed Indians that spinning their own wool would liberate the country from colonial economic rule. I DIY d my landlords apartment. I got her to pay for the materials. She never set a budget and was shocked at how much it cost. Actually she thought I was only going to do the porch floor. 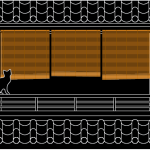 I did almost all the walls and put in a new floor in the porch, bedroom, and genkan. I also fixed some rotten parts of the ofuro area. The apartment is is over 30 years old- I think I spent about 200,000 yen on materials, tools etc. We are now buying an old house and I will reform that. I was wondering if anyone knows where I can find reclaimed wood like the stuff they load on the trucks after tearing down older houses here in Tokyo? Or if there is more information on houses built in the late 70′s – structural styles, faults, etc. Building law has been revised since the 1970′s, so you should be aware that what you buy may not meet modern code ( http://goo.gl/ecv87 ). With wooden houses, carefully inspect for termite damage (look under the floors) or signs of mold/rot around sashes. Obviously cracking or subsidence of the foundation will be costly to rectify. You likely can’t see large cracks in walls that are covered by wallpaper (クロス), but you might try to feel for them. Anything built in the 70′s will likely be uninsulated and have single-layer glazing. That said, if you can invest money (replacing, insulating, etc) and your sweat equity in a house you intend to live in long-term, it could all be worthwhile. At least it can’t depreciate by much more. Good Luck! the house was built in 1979. there was termite damage repaired near bath area. We have written a clause in the contract that the house will be professionally inspected and that if there is any serious termite damage or earthquake, or major issues within the first 3 months the seller has agreed to negotiate with us on repairs. We only paid for the land minus 5% and the house is, as far as I can tell in decent shape. its only 68 sqm so repairs should be less expensive. Maybe when I do some earthquake prevention repairs I will find out more issues. The government gives only 50,000 yen for earthquake proofing older houses. The property is small but has an area for a car and is rebuild-able (road is 3.2m wide), and is near Asagaya / Ogikubo in Suginami, so I believe its worth the investment. Taxes are dirt cheap! about 10,000 yen for the house (land separate) a year. We want to live in the house for long term. I am trying to find out more of the typical structure of this late 70′s style home. What about wooden kyu-taishin? seems like the majority of damaged buildings were concrete apartment buildings in Kobe as well (my wife survived the Hanshin Earthquake). I agree, the change in regulations mainly addresses larger concrete structures like Danshi (social housing projects). Kyu-taishin (built before 1981) timber houses, being smaller and lighter, do not present such a risk, but seismic safety shouldn’t be ignored here either. If you’ve had the home professionally inspected, you should be able to determine whether the construction is safe, but its hard to know if walls are at least cross braced without removing one side (or maybe use a electronic stud finder, checking near the corners of the house). Another option might be to retrofit steel ties and anchors to the frame, but this will require major work…I should also point out that I’m not a structural engineer (but I know a good one). yes I was thinking maybe use a steel veranda-like structure, although ugly to brace the whole house. I lived in an old house (60 years old) here in Tokyo with this option but I am pretty sure it is illegal. People do it anyway- how could the city ever inspect all new construction in a city like Tokyo? I am hoping at least the foundation is reinforced concrete- the kawara roof may have to go or the structural beams strengthened. Thanks for all your comments and information. I wish there was some sort of charrette or group meeting to make people aware of the issue, complications, and opportunities concerning purchasing an old house. Right now i am trying to take as many photos of these older homes for posterity sake. I take my 5 year old daughter with me and teach her about it all. I will move to Tokyo in my girlfriend’s apartment, her place surely needs to be renovated. Can you tell me the different DIY stores I can find? I need to buy a drill, a hammer, stone floor for the bathroom, new locks. She does not know anything about DIY and expects me to handle everything. DIY stores are called “homecenters” in Japan (ホームセンター). Some of the big chains are D2, Cainz, and Unidy. Good luck! There are a few other one is the Olympic chain. Also Shimachu is a big one. For locks and things sometimes its better to go to a neighborhood hardware store, small and more expensive but not to bad. They will be in most neighborhoods. Cainz is more in the outskirts of Tokyo I believe. It really depends on where she lives. In this i agree. In japan, home centers tend to be a cross between Walmart & Dixieline. They do have another type called “pro stores”. These are generally intended for professional contractors and builders and are more of the “home Depot” style. In a study i conducted, I found prices of cut lumber and basic building materials to be on a par with the USA. Electrical building materials also seem to be close to the USA price. Faucets and finish type of items tend to be more expensive in Japan. This also applies to lighting and custom controls. Cut stone, Cement and granite are far cheaper in Japan. They dont use sweat type copper pipe or fittings, and stainless steel pipe fittings are cheaper there. Tile is rare in the home centers and few choices in the pro stores. For that a time shop is recommended. If you are building or doing DIY in Japan importing some items from the USA are recommended. Log homes are beginning to be of interest in japan as they are VERY strong and laugh at earthquakes and Typhoons. As well, the cost is much lower than a conventional house. A few companies in the USA and Canada are shipping these to Japan on a regular basis.
! will be building my own in Atsuki in a year or so. when i do ill be posting the entire thing on my website. The DIY wave will be wonderful when it finally gets going in Japan. Im guessing it will start right around the height of the Olympics or soon after.